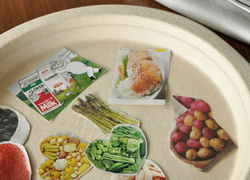 This year on Dad's day, here's a creative gift that your child can make using simple materials, some of them even recycled. 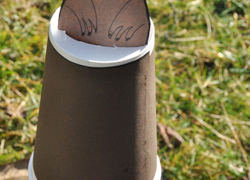 Celebrate Groundhog Day with this cute groundhog pop-up toy. 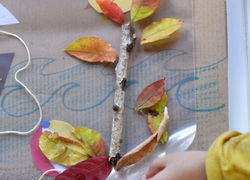 All you need is construction paper, a craft stick, and a paper cup to get started. 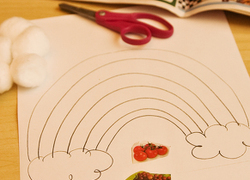 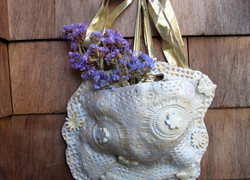 Help your preschooler to create this artful reminder of home for the first days of school. 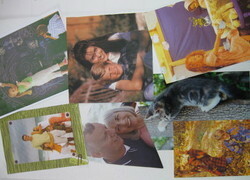 Using family photos your child can collage a memento of home. 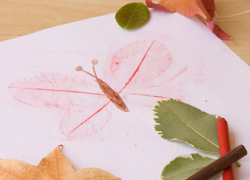 Want to create some really unusual artwork and introduce your little artist to colour combining? 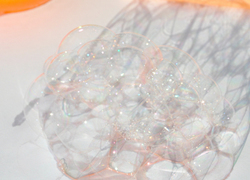 Try out some bubble painting! 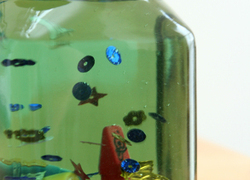 This alphabet bottle is fun to make and a great activity to keep your reception child busy, while helping her recognise letters in a creative way. 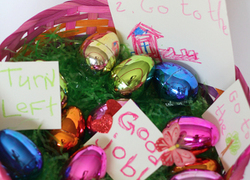 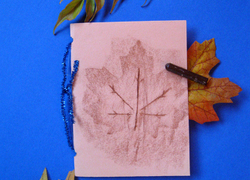 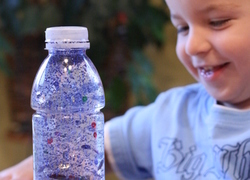 Here's a fun way for your preschooler to practise making predictions. 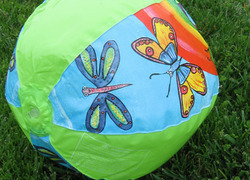 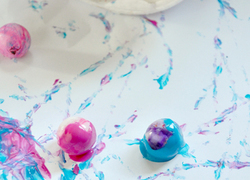 Shake up marbles covered in paint to see what colorful design you'll make! 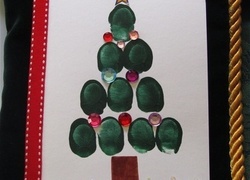 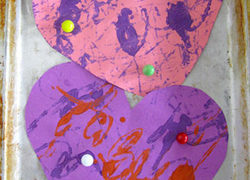 Christmas stencils let your preschooler make his mark on the holiday. 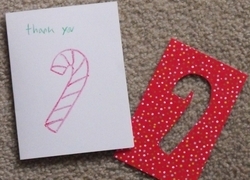 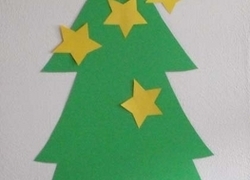 Make Christmas stencils with your young crafter this holiday season. 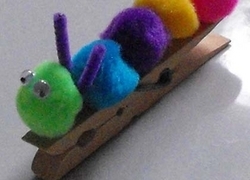 Make a Pom Pom Caterpillar! 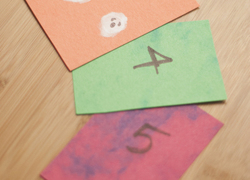 In this fun reception arts and crafts activity, your child will create a cute and colorful caterpillar using pom poms, googly eyes, and a clothespin. 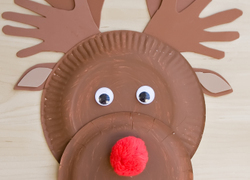 This activity spotlights everyone's favorite reindeer, Rudolph, and preserves your child's handprints in his "antlers". 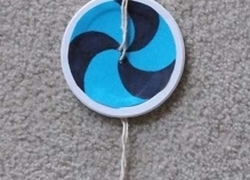 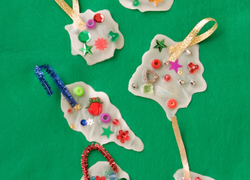 Make unique holiday ornaments with this sticky, stringy art project.